Rome, 08 Nov 2018 – Leading technology brand Huawei unveiled a range of new services and collabourations at its third annual Eco-Connect Europe event on 8 and 9 November at the futuristic La Nuvola (or ‘The Cloud’), also known as Rome Convention Centre. Following last year’s event which marked the arrival of Mobile Services in Europe, Huawei this year celebrated its existing and new partnerships with premium global brands by showcasing their vision and thought leadership in breakout sessions, and jointly developing services including mobile-designed content, customised news feeds, mobile payments and smart travelling as part of a signing ceremony. Huawei Eco-Connect Europe 2018 featured a number of key announcements from Huawei Mobile Services including a preview of Huawei Assistant, which is set to launch in 2019. Other announcements include the arrival of Huawei Pay in selected countries in Europe from 2019 and the global roll-out of Huawei Video. The Huawei Ability Gallery will also launch for partners in 2019. In addition, Huawei announced that Huawei In-App Purchase (IAP) is available in 135 countries. 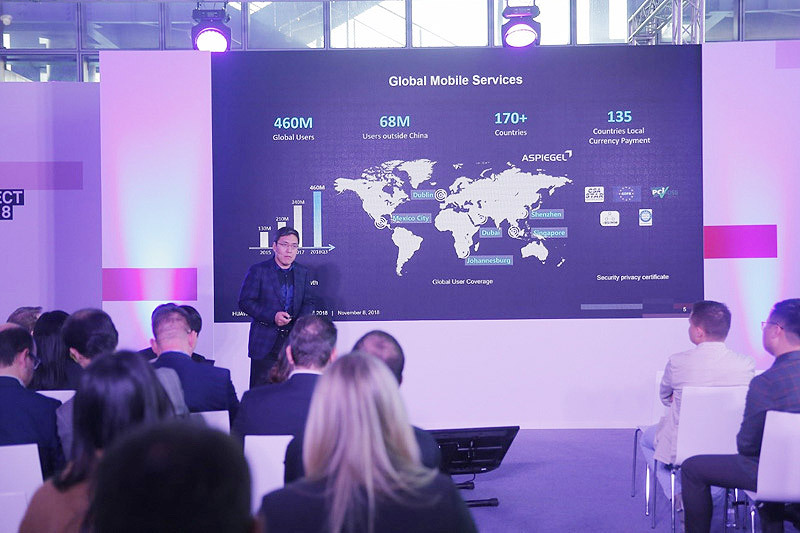 “Huawei Mobile Services provides a global platform with integrated security and privacy protection capabilities, built by local service talent teams around the world to provide intelligent one-stop services for developers and partners,” said Jervis Su, Vice President of Mobile Services, Huawei Consumer Business Group. Huawei’s mobile ecosystem is designed to enhance user experience by intelligently connecting them with premium partners. In line with the rapid growth of its Consumer Business and Device Groups, Huawei continues to expand its partner system to immerse and enrich each user’s mobile life with premium services. Partners gain quick access to Huawei’s fast-growing user base, whilst Huawei manages the distribution of their services. "Huawei Mobile Services creates an evolving bond with the user, making their life easier, helping them discover and enjoy the most suitable quality content and enriching their experience of the phone. This means high engagement, retention and trust in our integrated, inter-connected ecosystem," said Dr. Jaime Gonzalo, Vice President of Europe Mobile Services, Huawei Consumer Business Group. Huawei Eco-Connect Europe 2018 focused on how Europe can reap the benefits of increasingly intelligent technologies in the new, digital world. The event played host to more than 2600 attendees and 800 partners as well as more than 1000 students and start-ups. Spanning more than 7000 square feet, the Huawei Eco-Connect Europe 2018 exhibition halls featured various break-out sessions from mobile services partners. A dedicated E-Sports area played host to a brand new, never-seen-before game. Set to grow rapidly, Huawei Mobile Services already has more than 460 million global users, including more than 32 million in Europe, with its business covering more than 170 countries. It provides a trusted, device-centric and inter-connected ecosystem that makes life easier for users, helping them to discover quality content while ensuring security and privacy. It is Huawei’s mission to deliver these unique premium services to enrich the experience of all Huawei mobile device users, including users of the HUAWEI Mate 20 and HUAWEI P20 series.